We also have relationships with other professional advisors in business that can assist in business sale strategy or resources to build your new business. These include Tax Attorneys, Accountants, Insurance, Business Sales Coaching and Wealth Managers. We focus on fair treatment in all our business dealings and pursue a win-win for sellers and buyers. Our team will be open and honest with their clients and customers while maintaining confidentiality and fiduciary responsibilities. We expect our clients and customers to deal honestly and ethically as well. We live in the real world, and we are here to give you proper advice, not sugarcoat things to make them sound good. We all benefit by setting honest and straightforward expectations regarding the sale and purchase of a business. We have been involved in hundreds of transactions and have experienced the successes to know what it takes to get a deal done. There is no one formula or one way to do it, so remaining flexible and being creative is important. 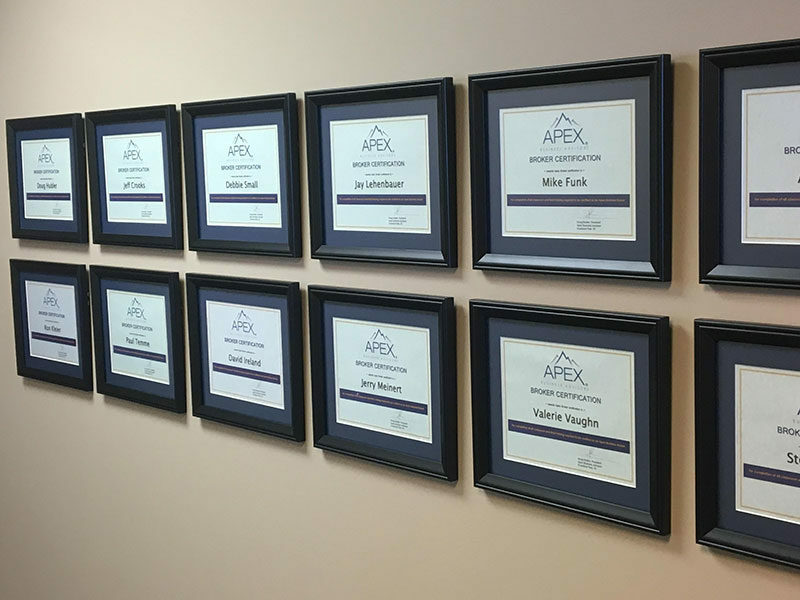 At Apex, we work as a team to get transactions completed and to meet our win-win goal. We share ideas to make sure our clients, our brokers, and Apex are successful. One person cannot, and will not, work for his/her own good at the disadvantage of others. Getting deals done for our clients is our goal, but not at the cost of undermining our ethics. 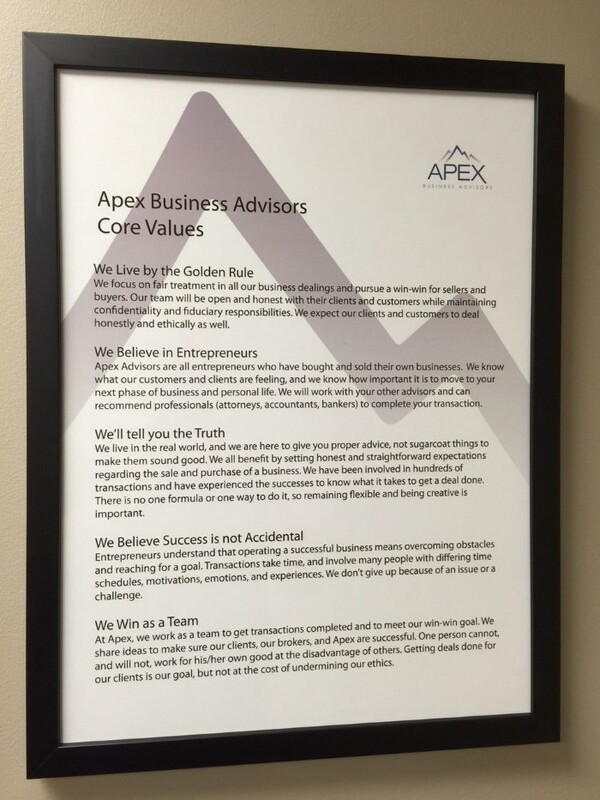 Apex Advisors are all entrepreneurs who have bought and sold their own businesses. We know what our customers and clients are feeling, and we know how important it is to move to your next phase of business and personal life. We will work with your other advisors and can recommend professionals (attorneys, accountants, bankers) to complete your transaction. Entrepreneurs understand that operating a successful business means overcoming obstacles and reaching for a goal. Transactions take time, and involve many people with differing time schedules, motivations, emotions, and experiences. We don’t give up because of an issue or a challenge.